A classic hot toddy is ridiculously simple. Hot water, liquor and sugar are all that's necessary to make this cozy, curative drink—but here are six ways to make it even better. Make it extra-seasonal. A slug of apple brandy in place of the classic whiskey makes this cocktail even more appropriate for the season. Add some chocolate. Bartender Jon Santer accentuates the rich, chocolaty flavors of rum in his take on a hot toddy with a half-ounce of dark crème de cacao. Add butter. 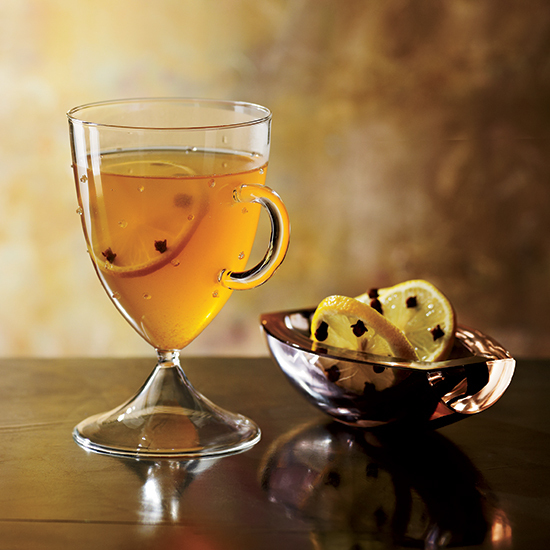 Dark rum and a touch of creamy butter will create an extra-indulgent hot toddy. Make it Greek. Metaxa is a Greek brandy sweetened with Muscat wine. Mixed with honey and cardamom-fig butter, it is delicious in this unorthodox hot toddy. Add citrus. Just a little bit of orange juice will brighten up the warming cocktail. It also adds a dose of vitamin C in case you’re using the drink to fight off a cold. Personalize it. Pick your favorite tea—whatever it may be—and use it to make your ideal hot toddy. Bartender John deBary adores licorice tea. Adding Scotch and a touch of ginger liqueur only makes it more enjoyable.